Linda Lou Cunningham, 69, of Fremont, OH passed away while waiting for a liver transplant at the Cleveland Clinic, with her husband by her side, on Thursday, February 8, 2018. 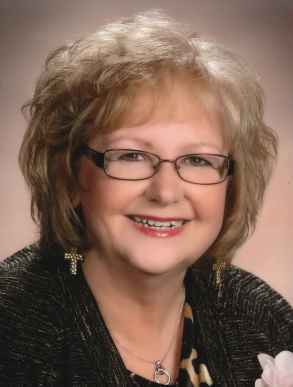 She was born on December 2, 1948 in Nettie, WV to Meredith and Armada (Bays) Bryant. She was a graduate of Green Springs High School and attended Bowling Green State University and Terra Community College. Linda married David Cunningham on March 24, 1974 in Fremont and he survives. She worked at Eaton Controls for twenty-two years and then became a document and data clerk at Crown Battery until she retired in 2012. She loved to sell Mary Kay Cosmetics for the past ten years. Her friends described her as a wonderful woman and was loved by all. Linda is survived by her husband of forty-four years, David Cunningham, Fremont, OH; daughter, Lauren (Michael) Rospert, Genoa, OH; step-son, Bob (Rebekah) Cunningham, Fishers, IN; brother, Ray (Karen) Bryant, Mansfield, OH; grandchildren, Carter, Cooper and Evan Cunningham. Memorial visitation will take place on Thursday, February 15, 2018 from 5 to 7 p.m. at Wonderly Horvath Hanes Funeral Home and Crematory, 425 E State St., Fremont, OH. A celebration of life ceremony will follow at 7:00 p.m. at the funeral with Certified Funeral Celebrant Susann Robitski Zimmerman officiating. Burial: Oakwood Cemetery on Friday, February 16, 2018 at 10:00 a.m.
Linda was THE sweetest person I have ever met ~ She would NEVER say a harsh word about anyone, and she just gave from the heart unconditionally. I will miss her. Linda, no more pain & I know for sure you are in heaven with our Lord ~ I love you girl <3. of our times together at family events. I will surely miss her. and prayers are with you. David and a Lauren I am so sorry for the loss of your sweet LINDA. She was such a kind, unselfish, caring person. I will always remember her for bringing me into MARY Kay and the circle of friends that she truly loved. I enjoyed all my times with LINDA , whether it was doing MK facials or having lunch or going shopping! She was always ready to help me or anyone else out in any situation , if she could. Fly high in heaven sweet angel! You are now pain and stress free and who knows…. maybe doing some great facials!!! I am so sorry David and Lauren for the loss of your sweet LINDA. We all will truly miss her. I will remember her as the most kind, unselfish, caring woman ever. She was willing to go the extra mile for anyone and help in any situation if she could. She brought me into Mary Kay and the circle of friends that she really loved. Whether we were doing facials, going to lunch or shopping we always had a good time. Lauren, I’m so sorry for your loss. I loved seeing Linda at Vendor shows and chatting with her. She was such a great lady! I will miss seeing her at shows. I’m so very sorry to hear of Linda’s passing. I was one of her classmates at Green Springs, class of ’66. She was always a very good student and very quiet. I’m sure she was every teachers dream student. I will keep her family in my prayers……. Linda was one of the Sweetest Ladies I have ever met. Praying of peace & comfort during this difficult time.